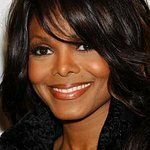 Superstar Janet Jackson was the recipient of a humanitarian award at an event organized by the Lisa Lopes Foundation on Saturday night. Every year the charity honors an artist that has excelled in community and humanitarian efforts, and this year the presentation was made at the 13th Annual Hot 107.9 FM Birthday Bash at Phillips Stadium in Atlanta. Jackson was unable to attend the event, but accepted the award via a video. Other attendees included Ludacris and Usher, both of whom were past recipients of the award. Jackson received the honor for her ability to create a global unification through her music and for her community efforts. She has provided global assistance to organizations which focus on children, hunger, conservation and animals, and after the tragic 911 attacks she supported the victims and families affected by the events at both the World Trade Center and the Pentagon through donations to the ClearChannel.com Relief Fund. She also aided the victims of the Tsunami disaster via the American Red Cross. Besides her support toward the on-going efforts of the Lisa Lopes Foundation, she also supports the Orca Network and Feeding America. Lisa "Left Eye" Lopes, a member of R&B group TLC, was killed in a car accident in 2002. The Lisa Lopes Foundation was established in 2003 by Lisa’s mother, Wanda Lopes-Colemon, her brother Ronald Lopes and family friend Anashay Murphy. The Foundation was inspired by Lisa’s dream of building a children’s home on land she purchased in Honduras, now the site of Lisa’s Home of Love, a 10,000 sq. ft. residential facility. The orphanage includes a dental clinic, free healthcare, and on-site free schooling, which is open to children throughout the community who have no school to attend. The mission of The Lisa Lopes Foundation is to provide access to basic health, education, self-awareness and recreational programs to children living in low-income communities within the United States and underdeveloped communities within Central America. The Foundation works to transform communities by establishing and supporting high quality community based programs.